Aurobindo Pharma is currently trading at Rs. 609.25, up by 1.90 points or 0.31% from its previous closing of Rs. 607.35 on the BSE.The scrip opened at Rs. 611.20 and has touched a high and low of Rs. 615.50 and Rs. 602.00 respectively. So far 72034 shares were traded on the counter. The BSE group 'A' stock of face value Rs. 1 has touched a 52 week high of Rs. 808.95 on 07-Nov-2017 and a 52 week low of Rs. 527.05 on 04-Jun-2018.Last one week high and low of the scrip stood at Rs. 622.00 and Rs. 596.80 respectively. The current market cap of the company is Rs. 35517.72 crore. 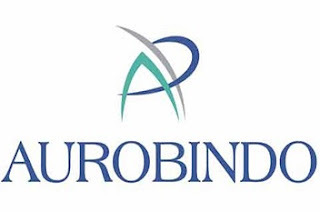 The promoters holding in the company stood at 51.87%, while Institutions and Non-Institutions held 33.63% and 14.50% respectively.Aurobindo Pharma has received final approval from the US Food & Drug Administration (USFDA) to manufacture and market Ertapenem Injection 1 g/vial. Aurobindo’s Ertapenem injection is a generic equivalent of Merck Sharp & Dohme Corp’s Invanz Injection. The product will be launched in July 2018. The approved product has an estimated market size of $387 million for the twelve months ending April 2018 according to IQVIA. Ertapenem injection is used for the treatment of moderate to severe infections caused by susceptible bacteria. Also indicated in adults for the prophylaxis of surgical site infection following elective colorectal surgery.